We all get creatively blocked sometimes. Whether you are just starting out on a new creative journey and unsure of how to begin, or perhaps you've been creating for years but have fallen into a rut; it can be very frustrating and sometimes scary. Our minds start thinking things like "Am I really creative?" or "Can I really do this?". But feeling stuck is just a natural part of our creative cycle, and sometimes all we need is a little jumpstart to get us creating. 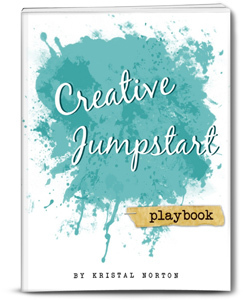 So I've created this colorful playbook filled with insightful questions and playful creative activities to get your mind and body moving. Print it out and play in it whenever you're feeling a little stuck, it may just be the jumpstart you need to get back into the creative flow. 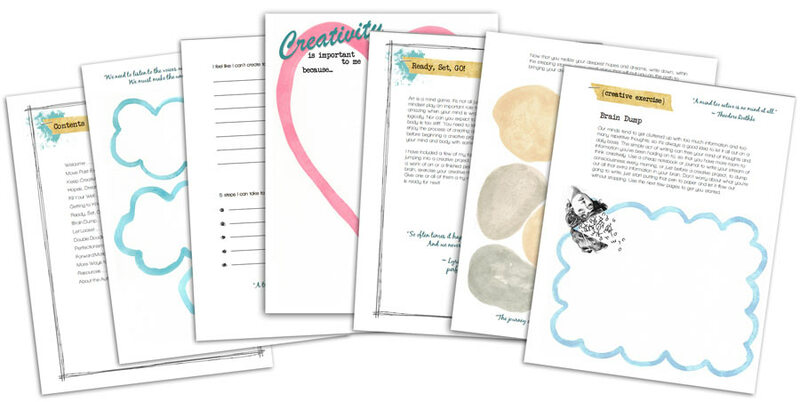 Over 20 beautifully designed pages of insightful questions and creative exercises to get your mind and body moving, and to help you see your creative spirit in a new light. Tons of inspiring quotes to fill your mind with peace, happiness, and inspiration. Four of my favorite playful warm-ups to do before your creative project in order to wake up your right brain, exercise your creative muscles, and get you into a creative flow.